Why are there horrible people in this world? We don’t know. What we do know is that they’re out there: People so malicious and amoral that they would use a devastating hurricane, and the kind intentions of others, to score a quick buck for themselves. Andrew, Katrina, Matthew: Every time a hurricane hits a city, a flood of scams and schemes is always quick to follow. Sadly, it’s already clear that Hurricane Harvey is no exception. No sooner did news outlets start sharing the epic loss and destruction that continues to rattle Texas than scammers began preying on the very real sense of urgency to help. Before you hit that “donate” button, here are some tips to avoid being scammed. Scammers often find great success by disguising themselves as other, more legitimate organizations. They might do this by using a very similar-sounding name, the same name, or a convincing fake website. If you receive an online solicitation asking you for a donation, it’s likely that it’s already a scam. However, if your gut tells you that the email might be legitimate, contact the charity directly. Ask if it is a paid fundraiser; what percentage of donations go to benefit the victims; how long the organization has been in business; and the organization’s full name, address, and phone number. However, since charities are usually inundated with calls when a disaster hits, you might have better luck—and spend less time on hold—by visiting the charity’s official website or social media pages. Oftentimes, if there is truly a scam organization impersonating the charity, it will have posted a warning to its pages. 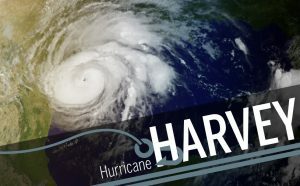 In the next few weeks, you might be on the receiving end of many Facebook posts, tweets, and emails which provide links for “Hurricane Harvey Relief”. Do NOT click these links—they may lead to sites which place malware onto your computer. These types of scams—called phishing scams—are one of the easiest scams to fall for. Remember to go to a charity’s website directly rather than clicking an unknown link. If you would like to protect yourself and your organization from such attacks, a reputable IT company can help you.